One hot orange silk & wool scarf sold. One pink & red scarf sold Dimensions approximate. Inspired by autumn colours at the lake. 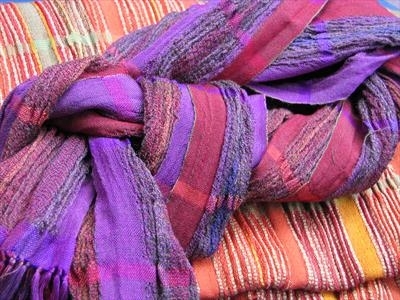 From group of four scarves shown above.